Another change of late is Super Milo! 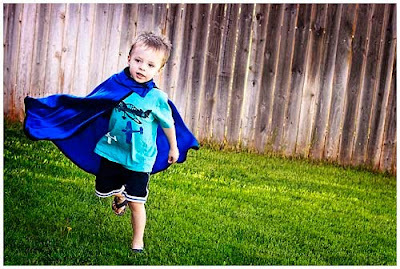 We got Milo a super hero cape and he loves to run around being "super". For some reason he likes to put a pair of red sock on his hands and say those are his super socks and well as putting on his cape. He is too funny! Super Milo running around the backyard being super!